It’s tough to think about things like accidents, illness, disasters and crime in paradise, but a little awareness can go a long ways towards making your visit safe. Read this, heed this and get out there and have fun. In general Costa Rica is a very safe place, but as a traveler it’s important to remember that you’re out of your element in unfamiliar territory. Rip currents occur when the water brought inshore by wave action find a preferred channel to run back out to sea. They are one of major causes of tourist deaths. Some of the most important safety issues aren’t readily apparent to the uninitiated. Highways are some of the most dangerous places, the nature that tourist want to experience comes with intense heat and UV exposure, tropical bugs and all sorts of water hazards lurking in idyllic scenes. Until a few years ago we mainly warned about petty theft, but violent crime, corruption and especially fraud are a growing problem in Costa Rica. Each of the sections below includes information on some of the dangers of international travel in general and in Costa Rica in particular, but more importantly what you need to be aware of and do to stay safe! The dramatic things that many people worry about the most before they visit Costa Rica are fortunately the ones that cause the least real problems. Some of the more mundane but common safety risks and precautions are described below. Accidents happen and there have been fatalities on canopy zip-lines, waterfall rappels, scuba diving, parachuting, ATV trail riding, and on horseback in Costa Rica. Dropping travelers off cliff faces to rappel a waterfall and sailing them down a zipline five hundred feet above a ravine are inherently dangerous but the Costa Rican government is not particularly involved in the safety of tourists. There are few regulations, insurance requirements, safety agencies, or tour design standards. However, that doesn’t mean the tours are reckless and dangerous. The tourism industry in Costa Rica has a huge financial concern in self regulating to ensuring that travelers are safe while having fun. The best companies have strict in house safety policies and seek assistance from international sources. For example many canopy tours are designed and/or certified by the U.S. based ACCT (Association for Challenge Course Technology). Our favorite rafting and canyoneering company uses standards based on California regulations and trains their guides using U.S. army techniques. Do your part by choosing legitimate operators with the appropriate certifications, liability insurance, good records, and professional guides. Don’t exceed your physical limitations, pay attention during the precautionary lectures, and use common sense. ATVs and Personal Watercraft are some of the most dangerous big kid toys in the world. As an adult you can make your own decisions whether the entertainment value is worth a potential broken neck. If you look you’ll probably also find someone willing to let your twelve year old ride but you may want to read this tragic story about a young woman who died before you put your kid on an ATV. 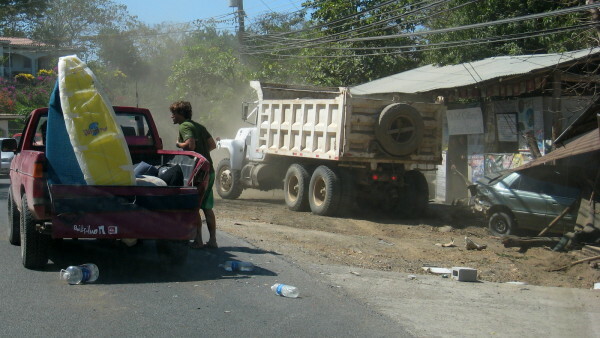 By far the majority of accidents in Costa Rica involve cars crashing into each other or running over pedestrians. There are few sidewalks and streetlights are uncommon so there are more fatalities caused by cars hitting people than accidents between vehicles. It happens daily and even more at night so be especially careful then, use lights and reflective clothing and avoid it if possible. As in North America or Europe, driving or riding in a car is one of the most dangerous things you’ll do in Costa Rica. Car wrecks are the single most common cause of hospitalization for foreign travelers. 1) Don’t drive after dark. 2) Potholes (huecos) are ubiquitous—even in roads that appear to have been freshly paved—and some are large enough to snap an axle or cause you to lose control if you hit them going too fast. 3) Often there are no guardrails on sheer precipices. 4) Gutters so large they would qualify as canals frequently border mountain roads. They can swallow your entire vehicle and the warning about guardrails applies. 6) Possessions left in your unattended car (trunk included) are likely to be stolen. If you can afford it rent a larger SUV with full front and side curtain air-bags. Many of the smaller economy vehicles are not equipped with air-bags. Some of the worst drivers in the world call Costa Rica home. We’re not saying that all Costa Ricans are bad drivers, in fact 75% are quite safe, conservative and defensive. However the other 25% set records every day for nearly unbelievable stupidity and it’s perfectly common to come around a blind corner head on into someone passing illegally. One of the most dangerous times to be on the highways around San José is very early morning when there is nearly no traffic. Drivers aren’t used to the wide open spaces and being able to go as fast as they desire. We’ve seen no fewer than three fatal accidents (a couple others looked pretty bad but we never saw the news reports to confirm fatalities) when driving to the airport around 4:30 – 5:30 am. Once we watched as a small delivery truck lost control hit the far guard rail and launched into the air at about 120 km per hour revolving several times before landing and and decapitating (according to the news) the driver. Only a few weeks ago we saw a semi-truck upside down with the guard rail speared through the center of the cab and box. Be careful on the wide open road. You never know when an airborne missile will fly at you. You may think we’re joking, but sunburn ruins more trips than any other danger you’re likely to face in Costa Rica. The location near the equator, and lofty elevations of many of the attractions add up to extremely intense UV radiation. Combine this with water everywhere washing sunscreen off, the fact that many visitors are bleached white and sun starved by northern winters, and it can add up to a sunburn that requires hospitalization. Be especially vigilant with your children. Heat exhaustion and dehydration can catch you by surprise as well. Many of the adventures offered on tours of Costa Rica are strenuous combined with the warm humid climate you can lose moisture from your body very quickly. More tourist are killed by rip currents every year in Costa Rica than by snakes, lightning, rafting accidents, murder, zipline failures, and every other cause except vehicular accidents combined. If you are reading this then riptides won’t be a problem for you, because they are really only dangerous to the unaware. Take a few minutes to look at the National Oceanic and Atmospheric Administrations excellent description of Rip Tides how they form, how to recognize them, and how to avoid them. If a riptide is carrying you out to sea, do not attempt to swim directly to shore. Instead, swim parallel to the beach. Most of these currents are less than 100 feet wide and you will soon reach calm water, and waves that are actually pushing you shoreward. Water plus glossy glazed tile creates a surface with about as much traction as greased Teflon. Smooth gloss tile is used around pools, in entryways and in nearly every bathroom in Costa Rica despite the obvious danger. Tile with a rough or textured surface designed to prevent slipping is more expensive and harder to acquire so most floors resemble ice skating rinks when wet – which is much of the time. A friend of ours managed to complete the 120 km transcontinental trek over mossy river rock and rain slicked mud trails through the rain forest without a serious slip and fall but has required several surgeries to try to repair the shattered bones in his elbow from a bathroom fall. Be extremely careful on wet tile. Most of the insects you’ll encounter in Costa Rica are more of an annoyance than a safety concern, but some can carry diseases. Mosquitoes are the most significant threat, but not because of malaria which pops to mind when people think of the tropics but is uncommon in Costa Rica. There were roughly a dozen cases in 2017 – about half imported from Nicaragua or Panama. In 2018 there were no confirmed cases of anyone catching malaria in Costa Rica, but imported cases skyrocketed due to the influx of refugees fleeing the political violence in Nicaragua. In 2018, 72 people contracted malaria in Nicaragua and migrated to Costa Rica. The imported human cases could potentially reintroduce the disease into the local mosquito population and cause malaria outbreaks in Costa Rica but there is no evidence for this so far. Zika grabbed headlines when it was linked to microcephaly in South America. Although there were a few hundred Zika cases in Costa Rica there was no microcephaly and the epidemic never materialized…Zika has be downgraded to chronic by the WHO. Far more common, dangerous and relevant is mosquito borne dengue fever (bone break fever). It’s on the rise throughout the world and is common in the Guanacaste and Caribbean regions of Costa Rica. The dengue virus is spread by Aedes aegypti mosquitoes which hunt most actively at dawn and dusk, in shady areas, or when the weather is cool and cloudy. There is no treatment for dengue fever. Fluid replacement is important to prevent dehydration and Acetaminophen (Tylenol) helps control the fever (Do Not take aspirin). Chikungunya is a new mosquito spread tropical disease threat in Central America which Costa Rica is just beginning to battle. The Zika virus has been prominent in the news and while the occurrence has been very limited so far in Costa Rica cases are increasing. The scientific perspective on Zika page has a no nonsense summary of all the latest news, CDC and WHO recommendations. Use mosquito repellent (DEET or Picaridin), wear long sleeves and pants when mosquitoes are active and consider traveling in the dry season when their numbers plummet. Purrujas (no-see-ums) are mosquito’s super evil microscopic twins that can transmit encephalitis – very rarely transmitted to humans in Costa Rica. Africanized bees are present. We saw a miniature stampede down the main street of Puerto Jiménez when a group of horses being prepared for a tour group disturbed a hive. Dodging back and forth while running is better than running in a straight line (but don’t trip), get inside a building car or tent as quickly as possible. The Warner Brothers® standby of diving in the pond and breathing through a reed until the bees move on is not recommended since the bees can be very patient. Scorpions like to snuggle into your shoes or crumpled up clothing while you sleep, so shake them out before you put them on. Snakes, and jaguars, and croc’s, oh-my. Wildlife is one of the main attractions in Costa Rica, and some of that wildlife has sharp, pointy teeth. 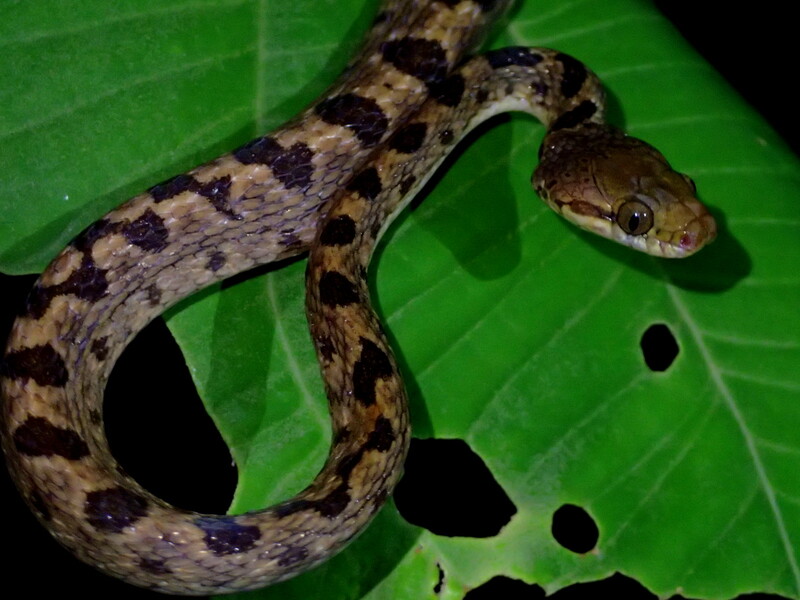 About 90% of the questions we get about jungle safety are how to avoid snakes. Fortunately the answer is easy; let them avoid you. In general the vibrations caused by walking will alert them and they’ll be long gone before you reach their resting-place. Don’t put your hands and feet anywhere you can’t see and you won’t have any problems with snakes. Don’t swim in shark and crocodile populated estuaries, which aren’t terribly appealing places to swim anyway, and you won’t have any problem from them. The only jaguars you’ll see will be safely caged. Rapidly rising water levels are a common feature of the streams and rivers of Costa Rica. The area you are in may be under clear skies, but a few miles upstream the mountains could be under a deluge. The water from upstream storms can arrive very suddenly, and you should be cautious about entering narrow canyons. Pay attention to how close the trees are growing to the stream. If the nearest big tree is 20 feet up the hillside it’s probably because flooding has scoured away its lower neighbors. The danger in Costa Rica differs from the Hurricane fed floods and mudslides that often claim hundreds of lives in other Central American countries like Guatemala, Honduras, and El Salvador. 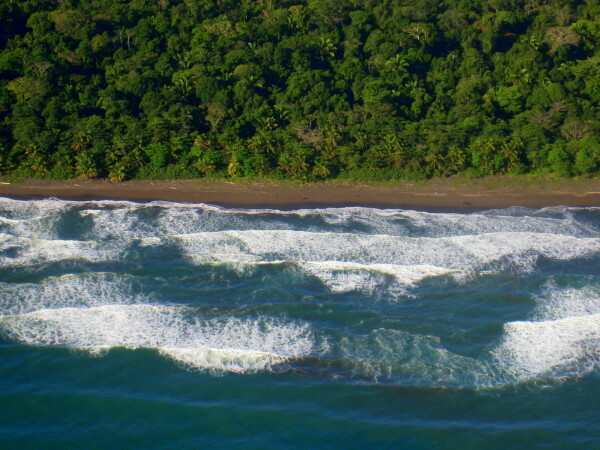 Costa Rica has done a much better job of limiting erosion by protecting the forests on its watersheds, and while very heavy rainfall is common, hurricanes rarely reach the coast there. If you’re driving getting lost probably won’t be more than an annoyance but on foot there are a couple of places where getting lost could be unsafe. In the rainforest or other wilderness area, getting lost could be very dangerous. Don’t leave well marked trails unless you know what you are doing or are accompanied by a trained guide. In San José, Limón and Puntarenas there are neighborhoods that you don’t want to be wandering around in after dark. Plan your route on a map ahead of time, and ask for directions early and often. On the road signs are few and far between, and unless you are familiar with the Latin American system of giving directions you’ll probably end up lost at some point, but it’s unlikely that this will be a dangerous situation. Relax and enjoy the adventure.